Each year, it gets harder and harder to create a new, unique Yearly Bucket List with ideas that top the previous years. I spend hours dreaming of the “what ifs” as if I could do anything in the world and then I add the craziest, most extreme ideas to my list, thinking outside of the box and completely forgetting about restrictions. Flight and everything that it encompasses has always found its way onto my list and lead me to new heights so this year I thought… heck, I might as well try being the pilot for a change. Being a pilot is one of those things that kids imagine, but it doesn’t exactly seem like reality. 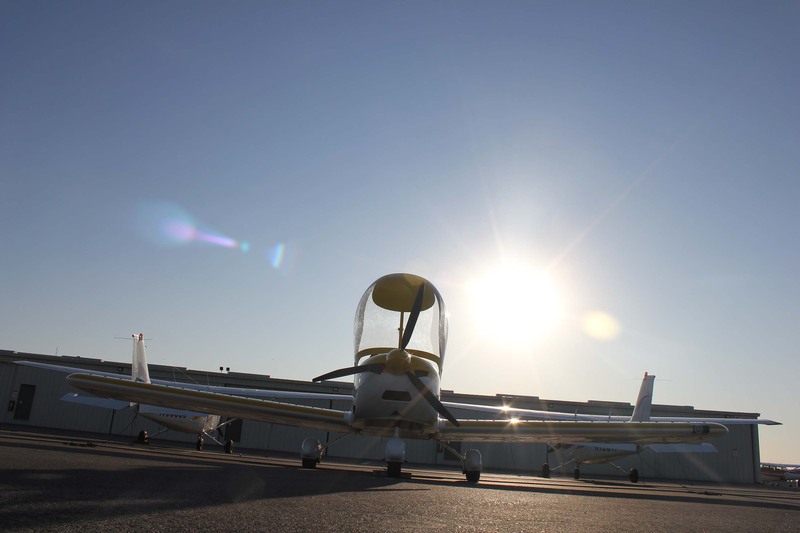 Pilots are part of an elite club and an introductory lesson from Adam Zeeman, at Sunrise Aviation, reminded that not even the sky is the limit. 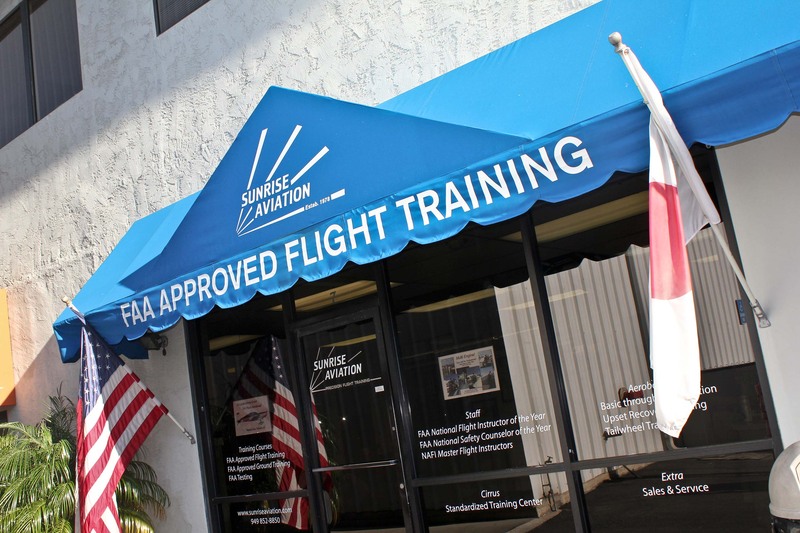 Sunrise Aviation is a Flight Training Academy in Orange County that is committed to providing a full range of conventional and aerobatic flight instruction. They have been in business at John Wayne Airport for over thirty years and have gained a national reputation for excellence. I may have been simply interested in seeing what it felt like to pilot a light aircraft, but after jumping into the pilot’s seat, I found a new hobby. Before I got into the pilot’s seat, I receive a briefing from my instructor, Adam, on the techniques and safety aspects of light aircraft flying. I originally assumed I would only control a very small part of the actually flying, but during my briefing, I learned that I would take-off and fly most of the time while Adam would only handle all of the landing. He explained the primary cockpit controls, such as the rudder pedals and the joystick, using diagrams on a whiteboard in his office. He was extremely friendly and put me at ease immediately. Knowing that he was a family man and that he had a six-year-old son that he was going to go home to every evening made me certain that I was going to be safe. His easy, relaxed attitude and extensive knowledge were also an added bonus. After the ground instruction was complete, I hopped into the Pilot’s seat and prepared for take-off with Adam by my side. It was rather like Driver Training for my Beginner’s Licence since he had controls of his own that could correct any of my mistakes. The engine started, I felt the plane roll down the runway as we began to taxi, and like driving a car, there was a yellow line that followed down the runway and I was asked to follow it. Quickly, I learned that the joystick was very touchy; each slight movement of my hand moved the plane away from the yellow line and I was in control. We were about to take-off! My heart was racing with excitement! I had been tandem sky-diving and flying numerous times in airplanes and helicopters, but I’d never had the responsibility of controlling the situation. In the past, I simply sat back and enjoyed the ride, but this time the “joy” or “plane” was in my own hands. 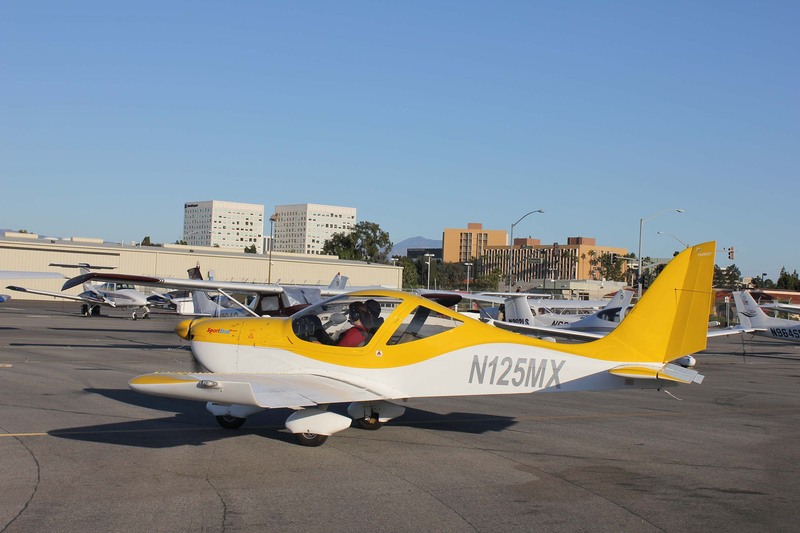 During the exhilarating flight lesson, I flew over the incredible beaches of Orange County and inland toward the mountains. At first, I was extremely nervous and talking or looking around was beyond my capabilities, but I realized even though I was participating, I was missing out on the experience. I took a deep breath, relaxed, and dove into conversation while glimpsing at my surroundings every chance I could get. When Adam took the controls and prepared for our landing, I didn’t think about checking off an item on my Bucket List; I thought about how I could return to the skies again because it was so easily accessible, yet it gave me the opportunity of a lifetime. My soul is in the sky. I long to return. 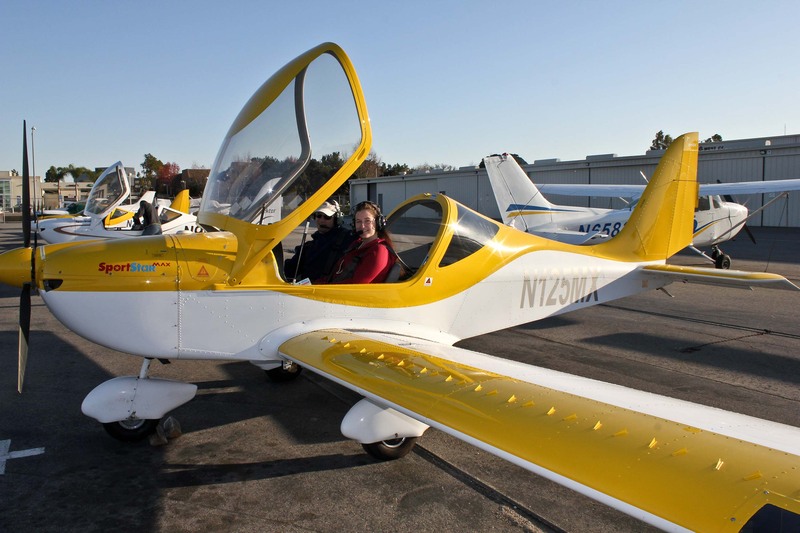 It’s every little boy’s dream to fly an airplane and I want to give the gift of a dream-come-true to my husband so planning his introductory lesson, when I return for my second flight, will be the next “to do” on my list. — Alphonse de Lamertine, ‘L’Homme,’ addressed to Byron in 1819. 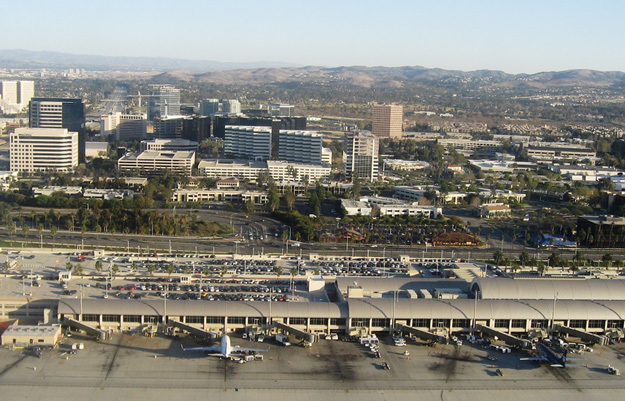 This entry was posted in Adrenaline, Adventure, Air Adventure, Bucket List, California, Flight, Uncategorized, USA and tagged Adrenaline, adventure, Airplane, bucket list, bucketlist, California, culture, Flight, Flying, John Wayne Airport, landscape, photo, Pilot, Santa Ana, travel, USA, vacation by lesleycarter. Bookmark the permalink. What fun! Thanks for sharing this! It was amazing and surprisingly affordable. I can’t wait to return. 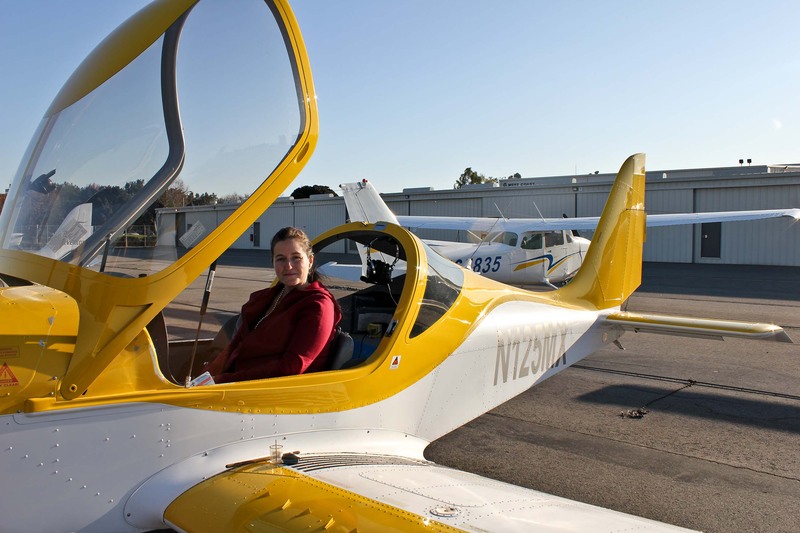 When I lived in El Monte, CA we were near a small aircraft airport and I always wanted to learn. Unfortunately, I never put it on the forefront of my list. Twelve years later my oldest son, 17yrs old, decided he wanted to fly for the US Air Force. Now that we are in california’s high desert, I made a point for him to see his dreams of flying through, so I enrolled him at Apple Valley Aviation. My teenagers never smile. Never. But after his first flight I new he was stoked. I sent him to San Diego later that year to do Dog Fighting over La Jolla. I think it is great to see your dreams through. My dreams were to visit all 50 states at some point. I’m 38 now and have only been to 5, i am inspired to fulfill my dreams now. I’m so happy that he found something that interests him. You never know, maybe he’s found his niche. Happy Holidays and I hope the world is at your doorstep. It was actually a lot cheaper than I anticipated and far exceeded my expectations. I didn’t realize how easily accessible and well priced a lesson can be. It was surprisingly affordable and extremely adventurous. Nice read, Lesley….sounds like fun! That’s the cutest little plane ever! This sounds like such a thrill! Great post & pictures! It was better than my expectations and possible for everyone! I thought I’d stop by your blog since you stopped by mine and LIKED. I like your blog too! You sound like quite the adventurous soul. You GO Girl! PS Good luck with your daughter…motherhood one of the toughest jobs you’ll LOVE! Lesley, I’m hooked! Yours are just the sort of adventures our readers want to try. I’m have to share your adventure blogs on http://www.saxtreme.com. Thanks! I try to live life to the fullest. You should get your licence; it’s never too late, especially if you already have experience. Love this ~ you’re such an inspiration! Thanks for the kind words Katie. We try to live each day to the fullest. Thanks for liking my Holiday Hoedown post! Your blog is a gem, happy that you knocked on my door! This is amazing, you’re so inspiring! Really enjoy the blog and the photography! And by the way, thank you for supporting my work as well! I learned to fly with the CAP when I was 13 but never kept it up after I left the group at 17 – it is just so fun to be up there. That is so awesome! I’ve always wanted to learn to fly, it looks like such an exciting thing to learn. It’s a relatively cheap and extremely rewarding adventure. You should give it a try. Thank you again for passing through more than once to like a post on my blog – It’s always nice to see you there since I follow your blog and love your energy and i’m very grateful that you took the time to look at mine between your busy life. I hope all is well with you and yours. Enjoy the rest of your week! I have been a pilot since I was 17, I was fortunate to be in an area where crop dusting is very common. I worked 2 summers free of charge in exchange for lessons. I will not spoil it for you but the day you solo, well that day is not like any other. Stay safe, always enjoy your lessons, even the hard ones and always remember “every take off is optional, all landings are mandatory”. Thank you for all your blog support! I appreciate your encouragement! Excellent write up! So much fun to read your blog – Really enjoy your spirit and congrats on the baby. Here’s to a fantastic and adventure filled 2012! Wow, that is awesome! A good friend of mine owns a private airline and I have flown with him several times. I plan on taking flight lessons in 2013, however your post makes me want to cross it off my list a lot sooner! I want to concentrate on travel in 2012, or I would. Thanks for sharing. oh wow, what a rush!! I am now following you, great blog! Thought I would stop by and read your blog, thank you for posting a “Like” on mine. I admire the heck out of you for coloring outside the lines and pursuing your bucket list! This Taurus bull child likes her feet on the ground, thank you very much, but thinks that those that soar contain within them a very, very special, wonderful spirit. Keep us posted! Whee! What a tiny plane. Are u doing this while yur still pregnant? Was yur baby having fun and kicking up a storm? I keep thinking this is something I’d like to do but I just got on my first small plane a year ago. Absolutely loved soaring above the island of Kauaii. As a mom though, nothing matches the adventure ahead. You are living the life of a “fallen god”. Keep it up. You should do it as well! It’s a rewarding, unbelievable experience. Wow, quite a story. Breathtaking pictures. Wassup next? Can’t wait to follow. Last weekend, we also stayed at Sunset Cove Villas (http://www.sunsetcove.com) and went whale watching with Davey’s Locker (http://www.daveyslocker.com/) so those posts will come this week. I just love the way you decide to do something and then it’s done! What fun! Thanks! The problem is, I want to do everything, but the world awaits! It will make next year’s list for sure. Woo hoo Lesley! How exciting. The great thing about flying is that it’s possible for everyone. Sunrise Aviation was a great find and I hope to return with my husband. Thank you Lesley, it’s like flying with you, feeling a little that amazing freedom up on the air. You are lucky to have this opportunities, take advantage of them and enjoy! Is also great to read something enjoying, positive, full of energy. It helps a lot. At least it’s helping me. Happy Christmas! So cool to see what things you guys are up to! It’s inspiring and brings a smile to my face! Ohhhhhh.. Had an adrenalin rush just thinking about it.. Have flown in a tiny helicopter over the glaziers in NZ and over the Victoria Falls…exhilarating to say the least but to take control? Waow! Brilliant photos too! Lesley, you are brave. Awesome venture! 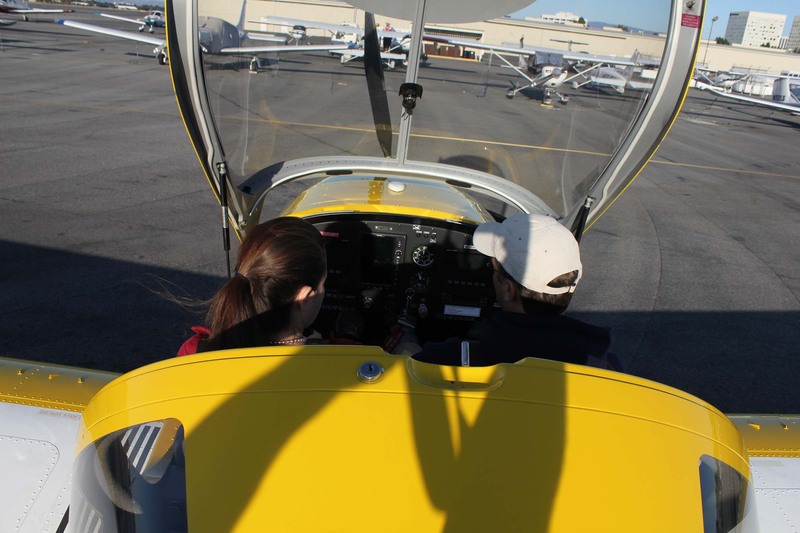 My husband was training for his private pilot license when we met, his instructor was a female. Later he did get his license. I took ground classes with him. I was too afraid to do the flying part. I just wanted to learn the books to be co-pilot. Later in Kaui, the pilot thought I had my license and let me take over the controls. “Wow” was that a feeling I’ll never forget. Too easy to make a wrong move into the water. Now with three kids later, no time to fly. I wish you all the best! Wow! This looks so exciting! I saw a Groupon deal for my area (Monterey Peninsula). I think I need to look closer into a flying adventure!! Looks crazy fun! I would love to give that a try sometime! Can’t wait to read more! I’ve always wanted to learn how to fly a small plane. I’ve read several of your posts and you live a truly amazing life. Genuinely inspiring! Thank you. 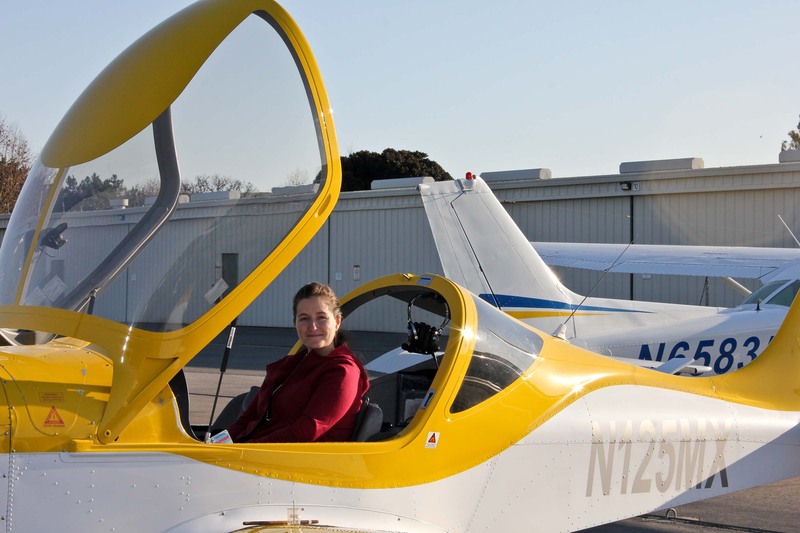 My wife got her glider pilot’s license in air cadets and has dreamed of getting back into the air- I will be looking into this… anniversary present, perhaps? I’m glad to read of your 1st flying lesson. As a pilot myself, I know how awesome flying is. My favorite way in the sky is hot air ballooning. You can see a pic of my balloon on my blog. It sounds as if you plan to take your new little one with you on your adventures. I did (still do) with mine. That’s the best!